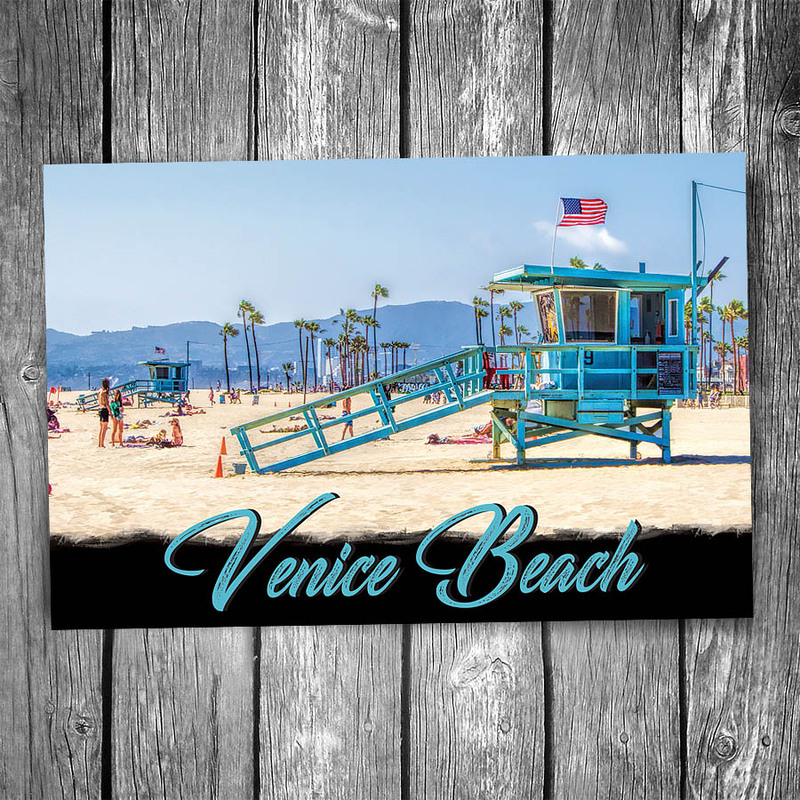 Venice Beach Lifeguard Station Postcard | Christopher Arndt Postcard Co.
An iconic lifeguard station stands guard at the popular beach in sunny California, USA which is home to “Muscle Beach”, beach volleyball, and streetball basketball courts. 26-17 | © Christopher Arndt Images. All rights reserved. Artwork used is a derivative based on an original photograph by BKD on Pixabay. Used with permission.